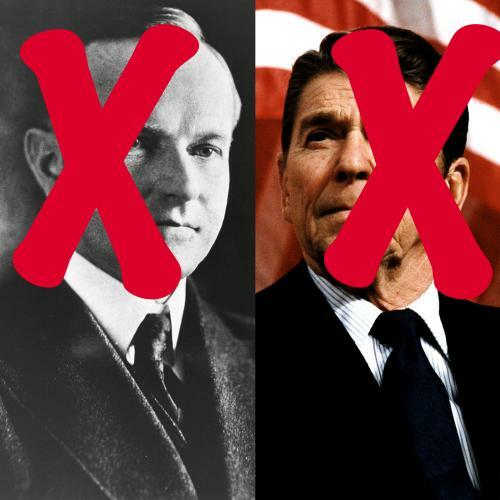 Which past president stood up most stalwartly for the anti-tax, anti-welfare, anti-union principles that animate today’s conservative movement? Of course, most activists on the right would confer that honor on Ronald Reagan. However, the only Republican chief executive with a major airport named after him often governed in ways that would place him on the tiny left fringe of today’s GOP: Reagan raised income and payroll taxes, increased federal spending on domestic programs as well as the military, and avoided attacking labor unions in the private sector. Some on the right speak kindly of Calvin Coolidge. But those who praise “Silent Cal” for cutting taxes on the rich are understandably mute about his fondness for the Ku Klux Klan, his racist attitudes toward all non-“Nordic” races, and his contempt for women who dared to drive cars, ride horses, or engage in politics. Moreover, Coolidge was no union-basher. In 1926, he signed a landmark bill which established collective bargaining for railroad workers, then a key sector of the labor force.